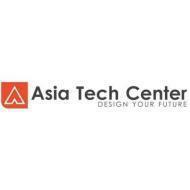 ASIA Tech Center is an ISO 9001-2015 certified company, Asia Tech Center is center of excellence in field of CAD/CAM/CAE training, We have been authorized by Dassault Systems as certified educational partner for providing educational training on CATIA V5. Near Ambedkar Chowk, Above Ratna Hotel, 3rd floor, Pimpri Waghire. "I completed my training from Asia Tech. It is good training classes to gain knowledge and make your skills perfect. Staff is perfect and have wast knowledge. " "Learnt so much from asia tech centre. Teaching staff is very good. Very good platform to get entry in plastic product domain. When i joined the asia tech center i didn't have any knowledge about catia so they taught us from beginning like from sketcher and part designing. " "Got placed in L&T thank you Asia tech for it's great support best institute for plastic and seating domain study. " "Had a good experience learning here catia plus domain training is to good. Thank you Asia tech for your valuable knowledge. " Admin Asia conducts classes in Autocad, CAD and CAE Analysis Training. It is located in Pimpri, Pune. It takes Regular Classes- at the Institute. It has got 6 reviews till now with 100% positive feedback.